First Step to Care - Kallman Legal Group - Get the help you need. 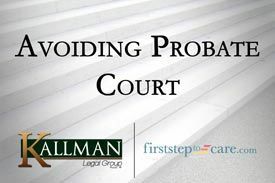 Would you have to go to probate court if a loved one suddenly passed away? Find out how to safeguard your family. If you become disabled or placed on life support, who will make the necessary critical decision for you? Find out how to protect yourself. Does your family know where all of your assets, accounts, and other important documents are located? Let us show you the steps to make it easier for your family. Who would raise and care for your children if you and your spouse were seriously injured? 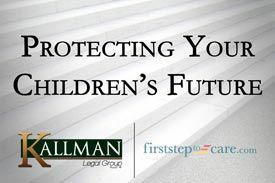 Find out what you can do to protect your children’s future. Have you considered adding your children’s names on to your bank accounts and house? Find out if that’s a smart move. How can you help your parents prepare for end of life issues? Find out what you need to do.